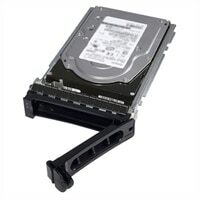 Dell 960GB SSD SAS Mix Use 12Gbps 512n 2.5in Drive in 3.5in Hybrid Carrier PX05SVIncrease the storage capacity of your Dell™ System with 960GB Solid State Drive from Dell. It boasts a storage capacity of up to 960GB, enabling users to store large amounts of data. This drive delivers enhanced data transfer speed of up to 12Gbps. Increase the storage capacity of your Dell™ System with 960GB Solid State Drive from Dell. It boasts a storage capacity of up to 960GB, enabling users to store large amounts of data. This drive delivers enhanced data transfer speed of up to 12Gbps.